We explore what creatives can learn from Lego's success. There can be few brand turnarounds as mind-boggling as Lego's. Here is a Danish toy manufacturer, with its roots carved by Ole Kirk Christiansen – a small-town furniture store owner – that has spawned into the biggest brand on the planet. Its fleet of movies, spin-offs and tie-ins propelled Lego beyond the likes of Apple, Ferrari and Sony to become the most recognisable and commercially successful brand on the planet. And Lego has managed this with effortless cool, embracing and entertaining children and adults alike. That's some story. And it's an even more interesting story to tell. 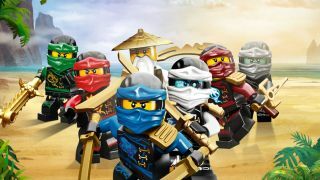 As The Lego Ninjago Movie, the latest Lego box-office banger hits big screens in the US, it's worth taking a look at how Lego rewrote the rules of brand innovation to become the megalith it is today. "What Lego has is a way to bring out kids' and, frankly, adults' imagination, creativity and with joy," Dan Lin, CEO of Lin Pictures and producer of the Lego movies told Adweek earlier this year. In recent years, Lego has achieved this by adopting creative ideas in new and more daring ways. To understand the broad-mindedness of the Lego brand, we have to look back to the 1940s. Having found success in manufacturing wooden toys, Christiansen embraced a seismic shift in product engineering by purchasing one of the first available injection-moulding machines and producing his bricks in cellulose acetate. Taking on the advice of an outsider – British toy maker Hilary Page – Lego moved the interlocking studs to the top of the brick, and by 1958, the modern brick design was realised. Amazingly, bricks from 1958 are still compatible with the most modern design. Why change a winning formula, after all? Lego's story is well documented – Daniel Junge and Kief Davidson's brilliant exploration of the brand, Beyond the Brick: A Lego Brickumentary explores the history and impact of Lego and is well worth a watch – and its seminal revival and growth holds important lessons for creatives working with ailing brands. But it's not just the movies and franchise tie-ins of recent years that mark Lego out as an innovator. Lego's very DNA is forged from chance-taking creativity. So what lessons can we all learn from what is now deemed the most valuable brand on the planet? We've found the following four pieces of advice from the Lego success story. Lego's success shows that disrupting the status quo can be a force for good that can help cement your brand's reputation for progressiveness and innovation. Children's toys used to be all made from wood. That was a given ideology that every manufacturer adhered to. Plastic was, in the late 1940s, the preserve of kitchenware and furniture, and it had no place in the toy box. When Christiansen decided to produce Lego blocks in plastic, his critics lined up to take pot shots at him. Plastic was cheap, mass-produced and lacked the 'feel' of wood that made toys dear to kids, the critics said. But these critics couldn't see that there were alternatives to the accepted rules of the time, and only Christiansen had the metal to disrupt the given order of the day to try something bold and new. Holding an unflinching creative vision is key for a successful project. Sure, parameters and requirements can change. Ideas can be flung back at the drawing board, and even tossed in the bin. But once set upon, staying true to your creative vision is one step in guaranteeing a project's focus and success. Lego's overarching philosophy is ‘good quality play'. The company believes that this enriches a child's life and lays the foundation for their growth into adulthood. With a self-proclaiming brand motto that 'Only the best is good enough' it's easy to see how a determination to deliver on its purpose and philosophy is key to Lego's success. By sticking to a core philosophy, Lego has avoided pitfalls and criticisms that other brands might not have. Famously, when it first introduced its Star Wars franchise of figures and blocks, it received criticism for associating 'war' with children's toys. But by sticking to its core philosophy of ‘good quality play' that enriches children's lives, it managed to align what was a savvy corporate move with its core ideology as a toymaker. By the mid-1990s, the Lego brand hit a trough. Sales were down, even though the brand was expanding into new markets at a dizzying rate. New Lego sets included entire cities, medieval castles and space collections, while the brand moved into clothing and computer games, theme parks and playing cards. So what did Lego do? Its first stop was to call in a management consultancy to examine its business. What it found was that the brand had drifted too far from its core philosophy. So Lego pulled in more help – this time from from its core users. It recruited from a pool of young Lego enthusiasts who lived the motto of the business and told the brand it needed to refocus on what it does best. Since the 1970s, Lego bricks and characters have been used to create fan films. Whether recasting Star Wars in bricks or inventing original stories, by the 2000s Lego-based shorts were nothing new, and had long been on the company's radar. What was new was the idea, in 2008, of a full-blown Lego movie. Franchised films are a stable Hollywood earner – based on theme park rides (Pirates of the Caribbean), video games (Tomb Raider, Final Fantasy and more) and comic book characters (The whole Marvel and DC worlds). The likes of He Man, GI Joe, Transformers and My Little Pony were toy franchises that hit the big and little screen in classic cartoon form. But Lego opted for something different, and something totally original. The Lego Movie doesn't feel like CGI, but doesn't seem like traditional stop-motion either. "We wanted to make the film feel like the way you play, the way I remember playing. We wanted to make it feel as epic and ambitious and self-serious as a kid feels when they play with Lego," said Chris McKay, animation supervisor on The Lego Movie. It's safe to say that the movie managed exactly that, and cemented Lego's place as a brand so confident in its core philosophy, it's willing to rejuvenate and take creative chances that other brands simply can't dream of. Is no branding the best way to get attention?